Core Practice is online dental software made in Australia. performance & more, all in the cloud. Core Practice can get you started in minutes. Core Practice makes running your dental practice easy, fast and secure. Make better-informed decisions from anywhere on any device. Simple and affordable monthly plans. No upfront costs for software and server. Improves efficiency and reduces training costs. Reduces cost by centralising control. Industry standard enterprise-level security with comprehensive audits and 24/7 monitoring. Automatic back-ups stored in multiple facilities. State-of-the-art data centres (99% up-time). Get regular software updates instantly. Get help fast from a real person using our phone support. Easy to use 24/7 helpdesk system. Online Knowledge Base and Community forum to help you get the most out of Core Practice. The clutter-free design has been developed to be easy to follow and straightforward to use. You'll find everything you need right where you need it thanks to our intuitive layout. Spend less time searching for what you need and more time on the important things. Core Practice makes it easy for you to grow your business with multi-location support. 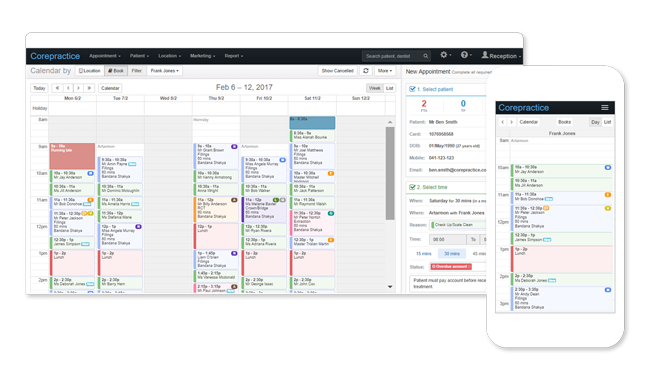 Incorporated from the ground-up, it allows you to share patient records across all locations, have a single calendar schedule for dentists working in multiple locations and compare all locations' performance in a single report. 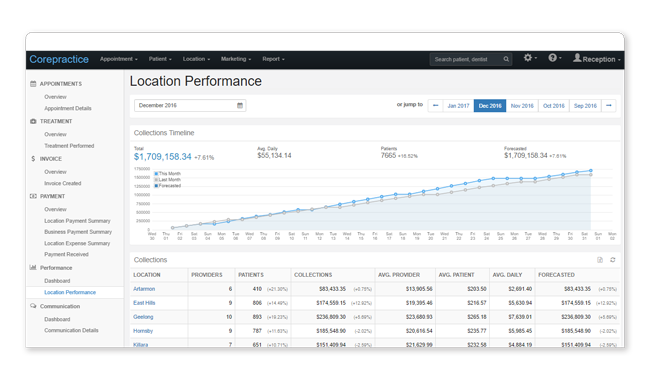 Measure your practice’s monthly performance and key indicators at a glance using Performance Dashboard. 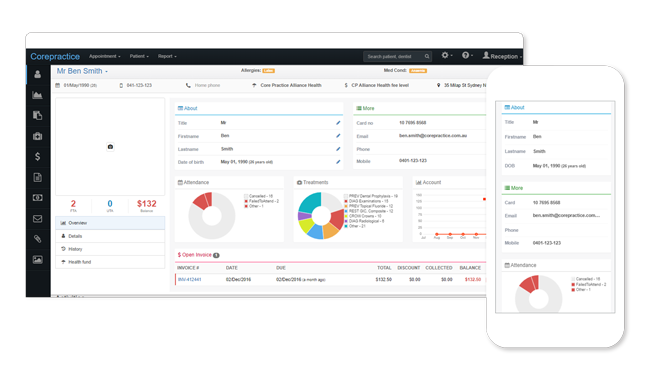 Improve your financial performance by being proactive and making adjustments to your business as needed using Core Practice Performance Dashboard. Track your monthly performance forecast and compare with previous monthly and year-to-date numbers. 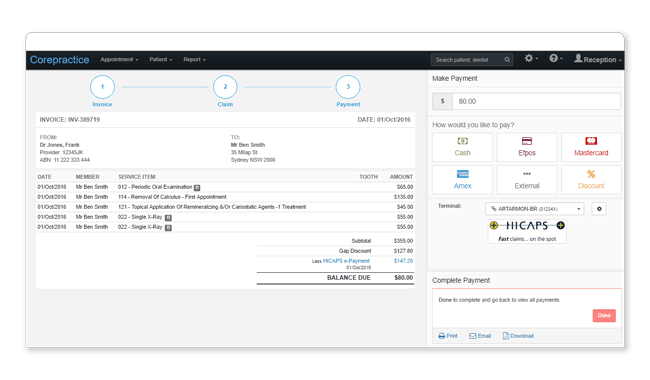 Core Practice brings you a clean, simple, intuitive design to improve your staff efficiency by streamlining your patient journey from start to finish. 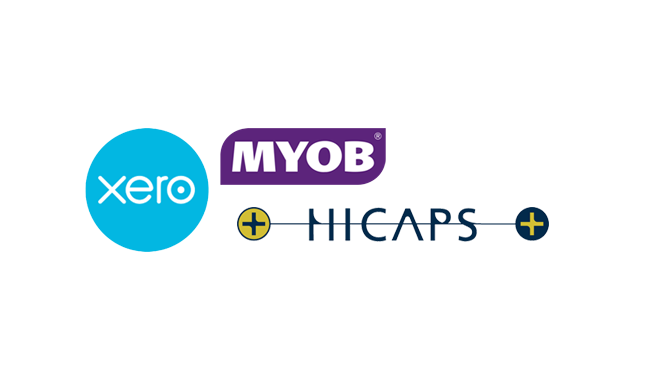 Search for a patient and a time simultaneously, and settle accounts in 3 easy steps. 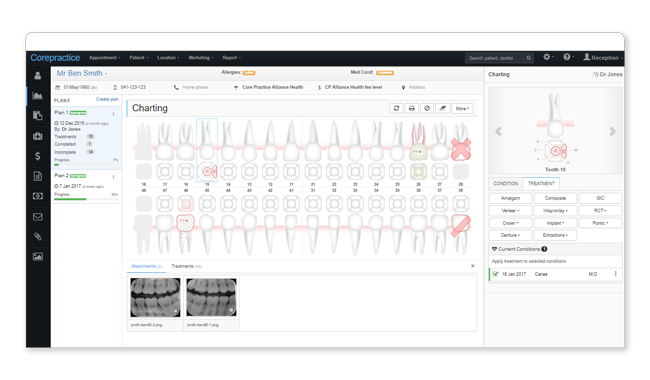 Core Practice brings you a modern, user-friendly charting feature that's just a delight to use. You won't be compromising on your charting just because we're an online software. Enjoy the same capabilities and functionality that you’re used to. Core Practice makes it easy for you to communicate with your patient using SMS and Email. 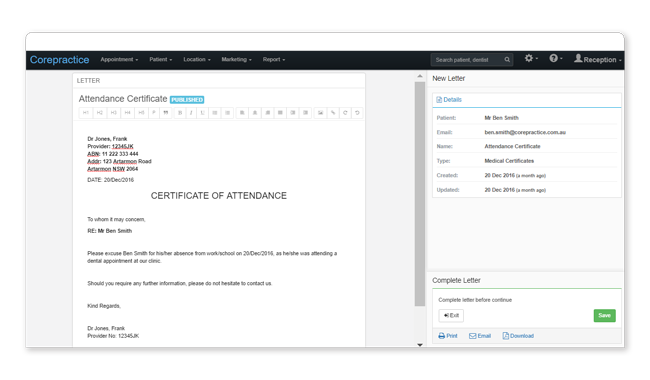 Automated SMS and emails are sent for convenient appointment notifications, while our integrated emailing function allows for instant sending of patient documents directly from the software. Core practice is a web-based software that gives you the freedom to quickly and securely access patient information from your desktop, phone or tablet anywhere with an internet connection. Enjoy easier collaboration between your team and the opportunity to share workloads across your practices. Core practice closely and seamlessly integrates with hardware and other online software that you already use, therefore save you time by avoiding manual data entry and reducing mistakes. Interactive clinical charting. Enjoy the same capabilities you’re used to on our web-based platform.